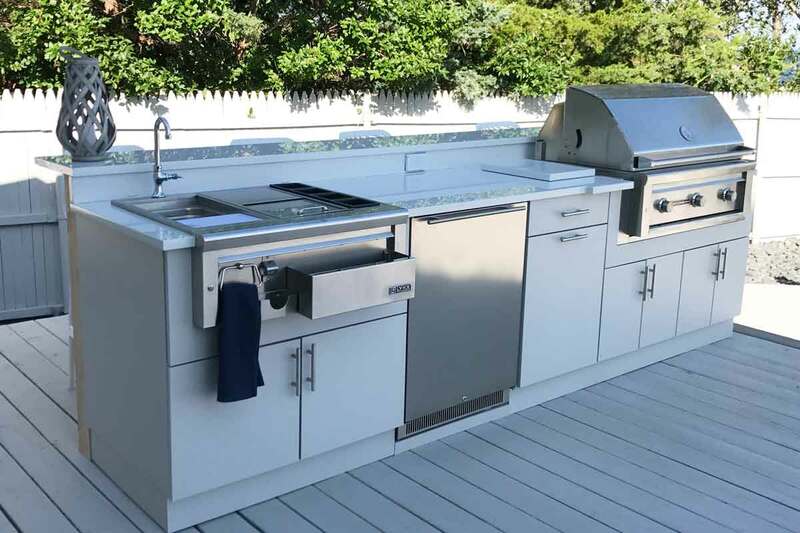 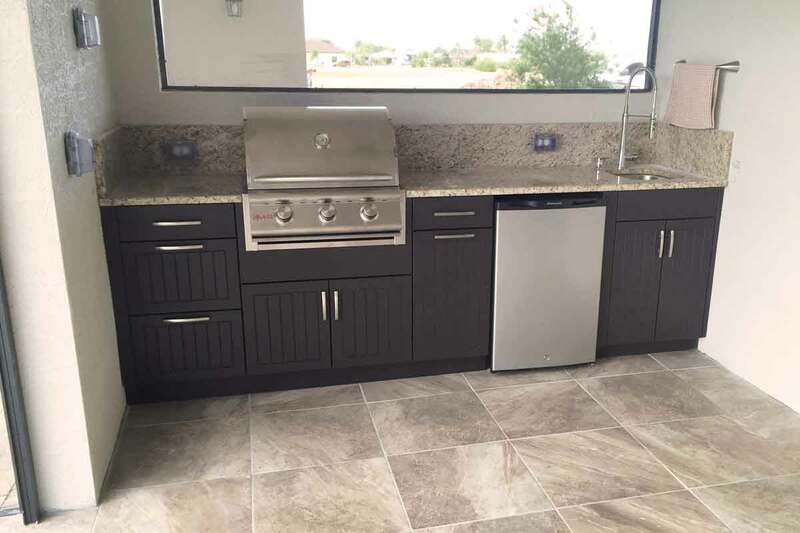 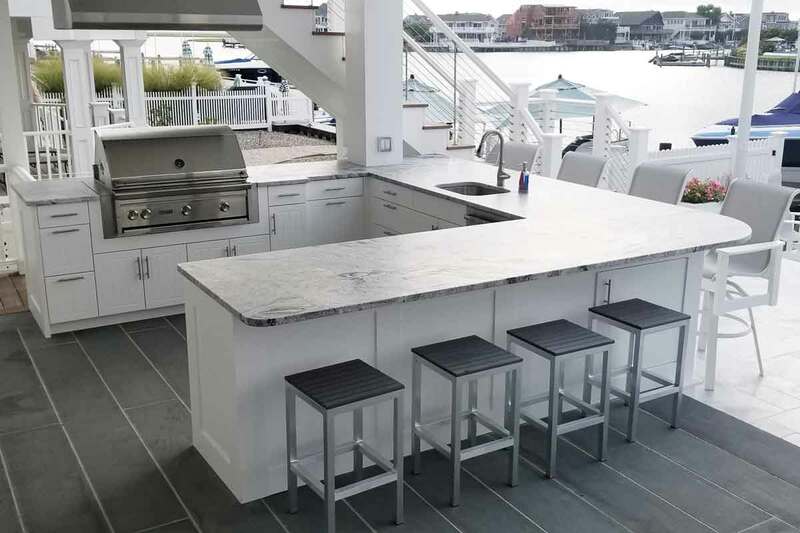 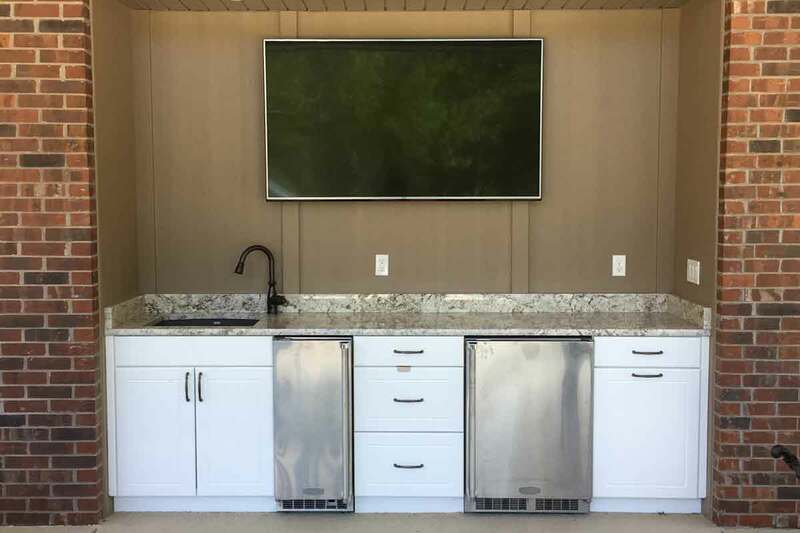 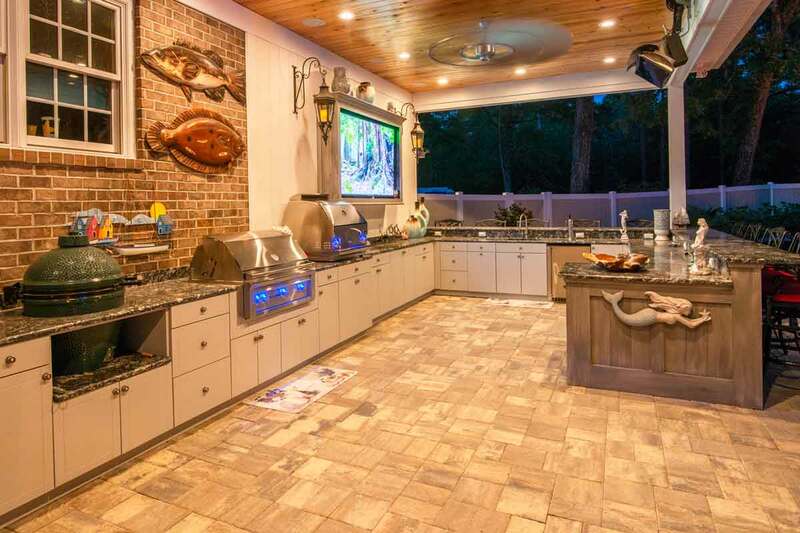 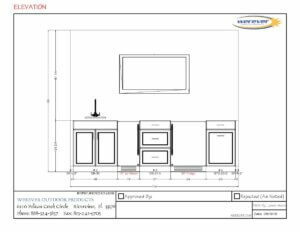 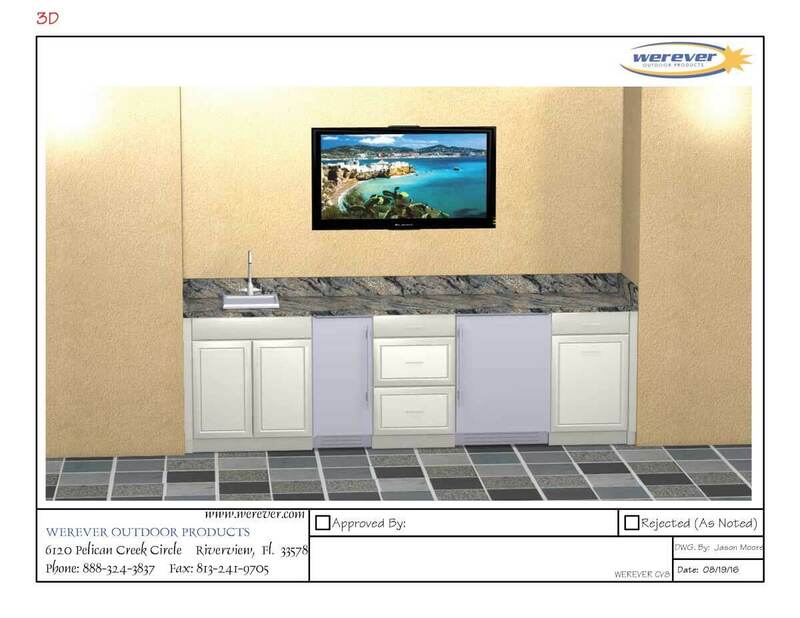 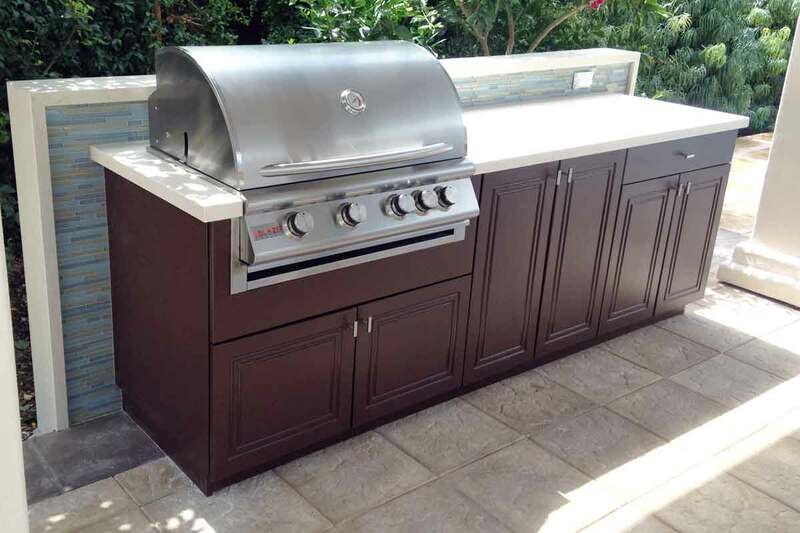 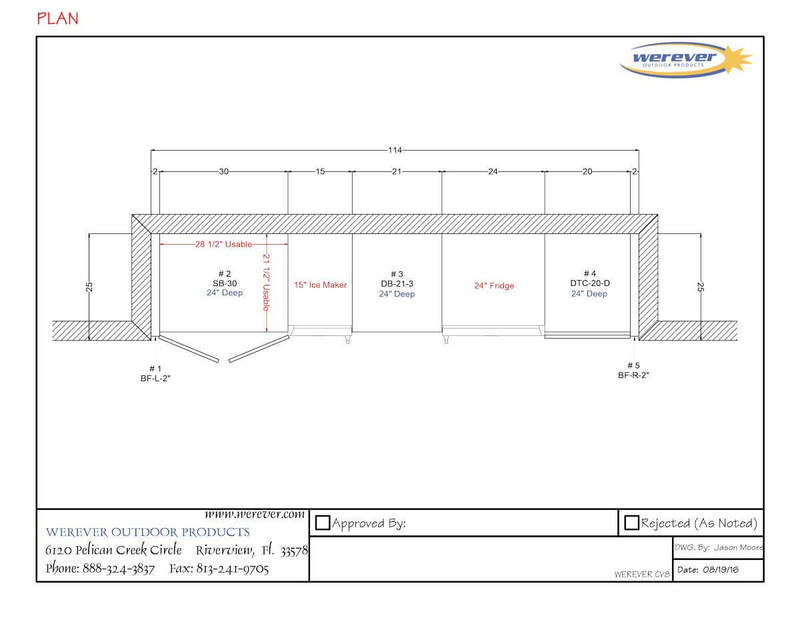 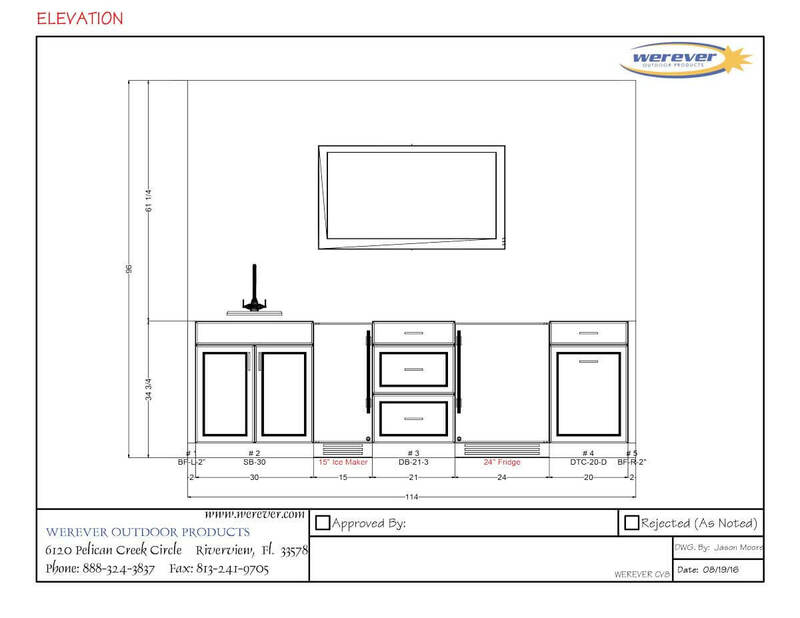 In this 9’-6” entertaining area the customer already knew they wanted an outdoor kitchen with sink, undercounter ice maker, undercounter refrigerator, 3-drawer cabinet and a pull-out trash cabinet. 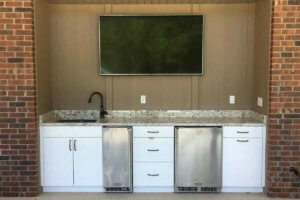 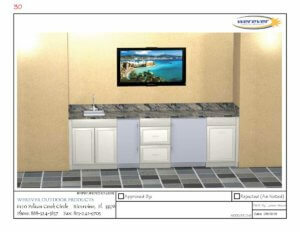 The appliances were spaced out between the cabinetry to give the finished area a nice, built-in appearance. 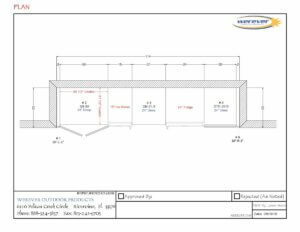 Fillers were added to either end to ensure a proper fit to the space.